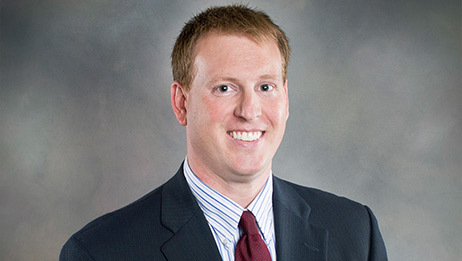 Mr. Phillips is a 2003 graduate of the University of Georgia where he studied sports medicine. This led him to Tulane University where he worked as a graduate assistant athletic trainer while completing a master’s degree in Environmental Health for developing countries. After working closely with several physician assistants as an athletic trainer he decided to further his education in that direction. He decided to return to his home state of Georgia to attend PA school at South University in Savannah where he graduated in 2008 with a master’s degree in physician assistant studies. Following graduation from PA school, he moved to Salem, Oregon to work for the National Health Service Corps, providing primary care for an underserved community. Mr. Phillips and his wife Kelly moved back to Greensboro in 2009 prior to the birth of their first child. He took a job with High Point Orthopedics working the Fracture Sprain Strain Sports clinic. The position allowed him to gain invaluable orthopedic experience. In July 2014 he joined the ranks of Guilford Orthopaedic and Sports Medicine team and works with Dr. Frank Rowan. Mr. Phillips enjoys spending his free time hiking, biking, and gardening. He is happily married to the former Kelly Robinson of Greensboro, NC. He has a daughter and three sons whom are very energetic!